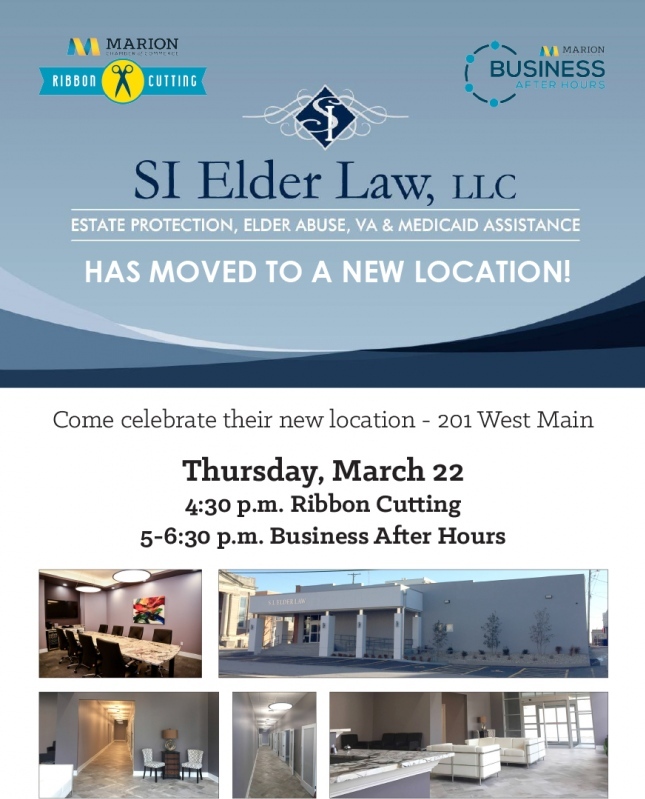 Description: A Ribbon Cutting and Business After Hours event will be held on Thursday, March 22 at SI Elder Law celebrating their new location - 201 West Main, Marion. The Ribbon Cutting will be held at 4:30 p.m. and the Business After Hours will follow until 6:30 p.m. Details: A Ribbon Cutting and Business After Hours event will be held on Thursday, March 22 at SI Elder Law celebrating their new location - 201 West Main, Marion. The Ribbon Cutting will be held at 4:30 p.m. and the Business After Hours will follow until 6:30 p.m.